My old friend Nancy took this with her daughter in Vejbystrand, Sweden in front of this “Troll Forest”. 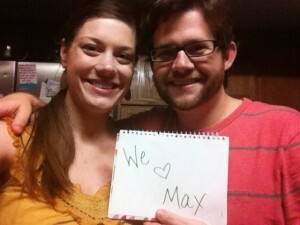 Yay, Max loves trolls. Because I think Rumpelstiltskin is a particular breed of troll. 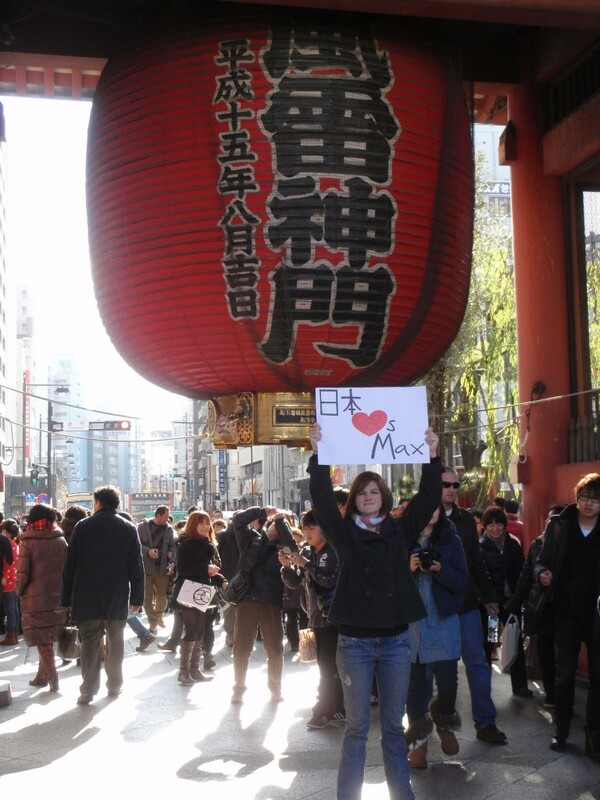 I was extremely pleasantly surprised to check my e-mail this morning and see that my old friend Katie has shown her support for Team Max all the way from Japan. 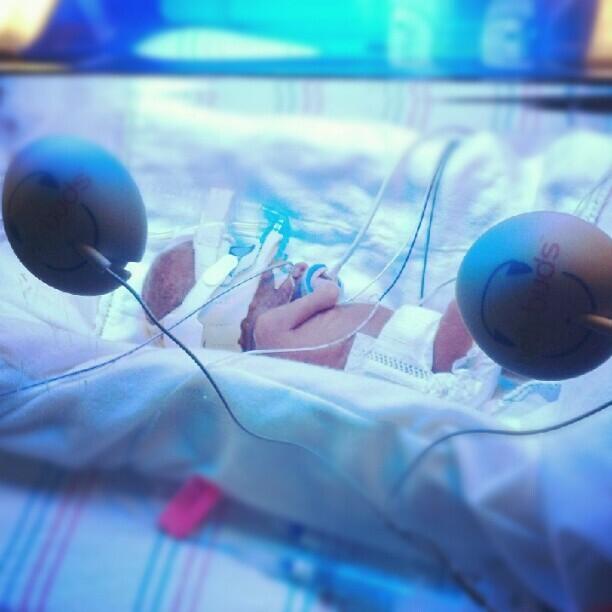 She sent along the following pictures. 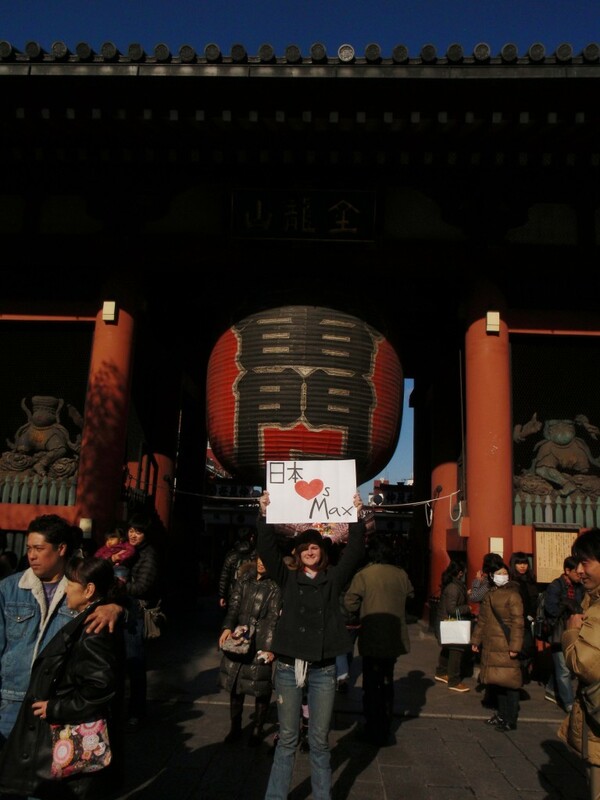 She made the sweet sign and went to the temple in Asakusa, Tokyo, Japan. Lots of people go around New Year’s to celebrate the past year and the upcoming year, and when you walk in you become all spiritually clean and whatnot. 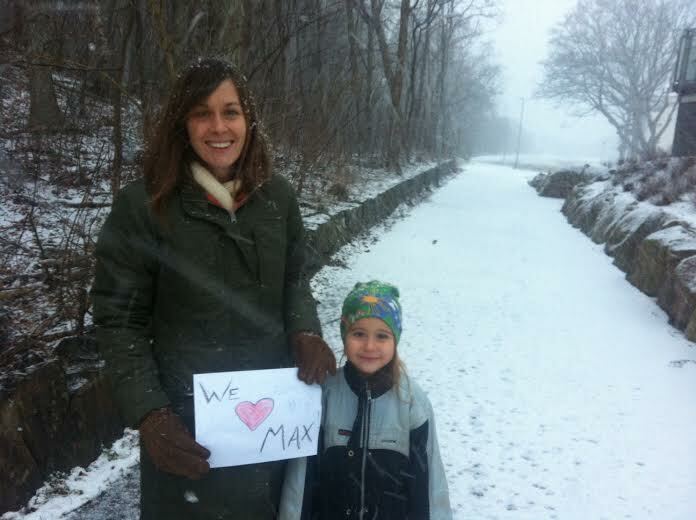 My friend even lit a candle for Maxy-Boy! So he has something to talk about with all the Buddhist Baby Angels. I’m also glad to report that this is the 5th continent with representation on Team Max, with just Africa and Antarctica lagging behind. 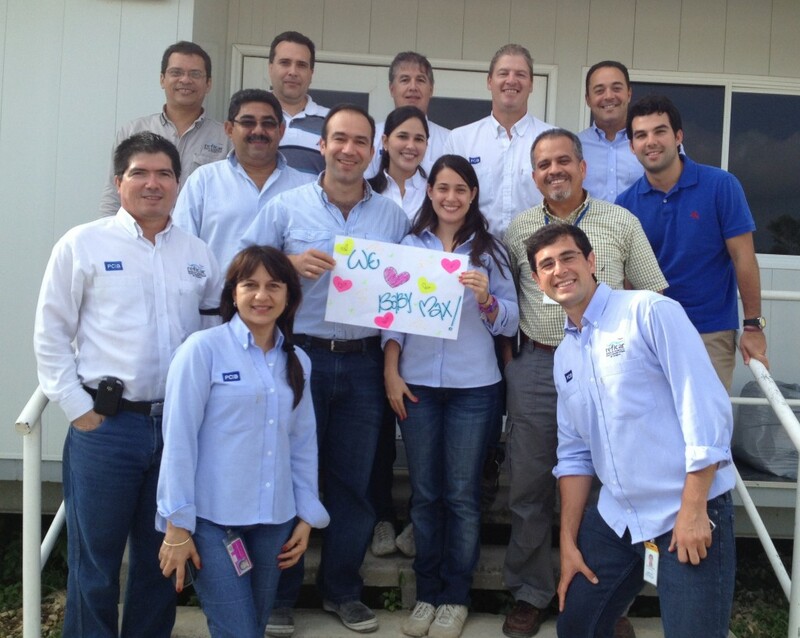 Yay, South America – Check. Put another shrimp on the barbie… a Team Max shoutout from Australia. Thanks to my longtime twitter friend Karly. She’s from New Zealand, so that’s like all of Australasia covered. 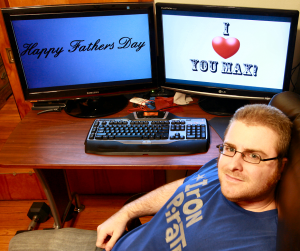 Australia is particularly important as I could make the case that Max was named directly after “Mad” Max Rockatansky – star of the classic Australian movie series starring Mel Gibson. Thanks so much to Mamacitas! 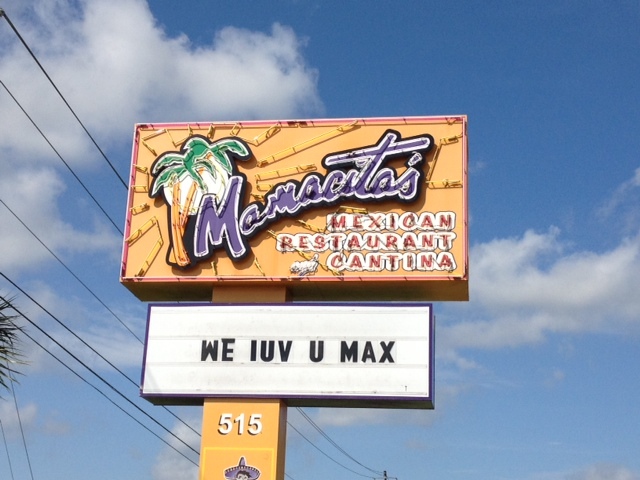 The official restaurant of MaxTheBaby.com (whether they want to be or not) is Mamacitas in Houston. Special thanks to our friend Gina for hooking that up. 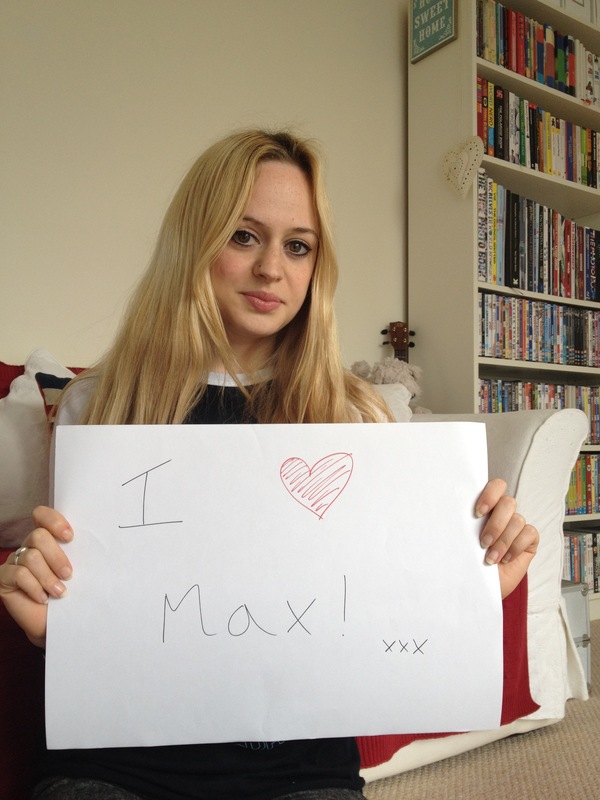 First British Pseudo-Celebrity Team Max Member! 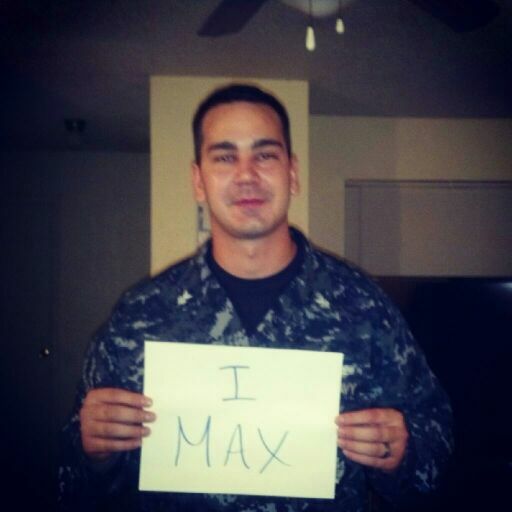 Special thanks to Sammy Dobson for showing Max support! All the way from Northumberland, England. Come on, she has been a co-host on BBC6 music and has her own Pilkipedia Page. She was also featured on Byker Grove. Follow her on twitter @SammyTDobson. 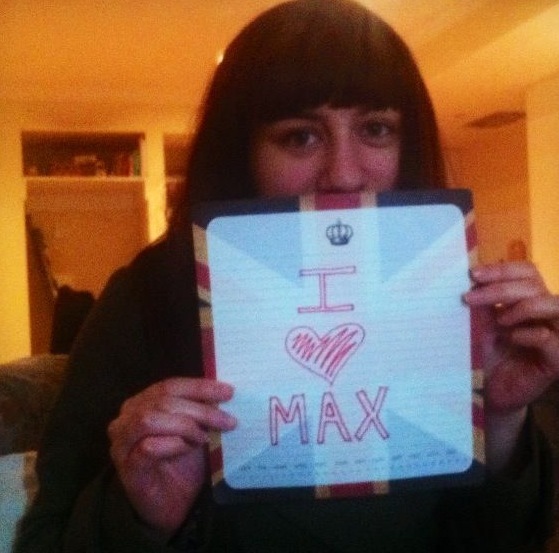 Here you can show your support for the late great little Max by drawing something nice for him and taking a picture. You can submit it yourself by going there and following one of the many easy options. Yesss.